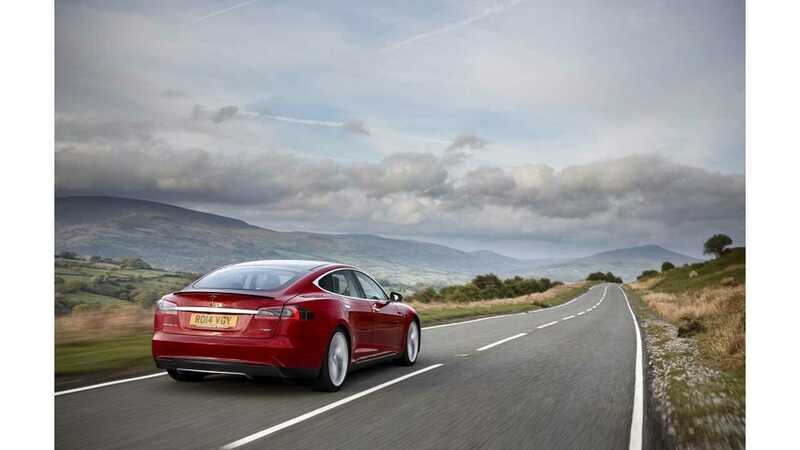 Plug-in car registrations surged in the UK last month to the second highest level ever. As plug-in hybrid numbers have been relatively stable for last three months (170 in June), the bulk of growth comes from all-electric car sales. 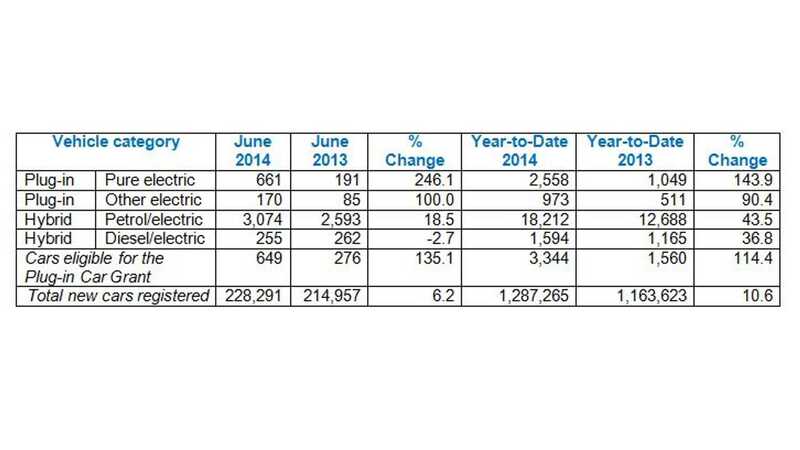 With 661 new EVs, we see improvement of 246% vs. June 2013. In total, 831 plug-ins translates to approximately 200% of growth year over year. 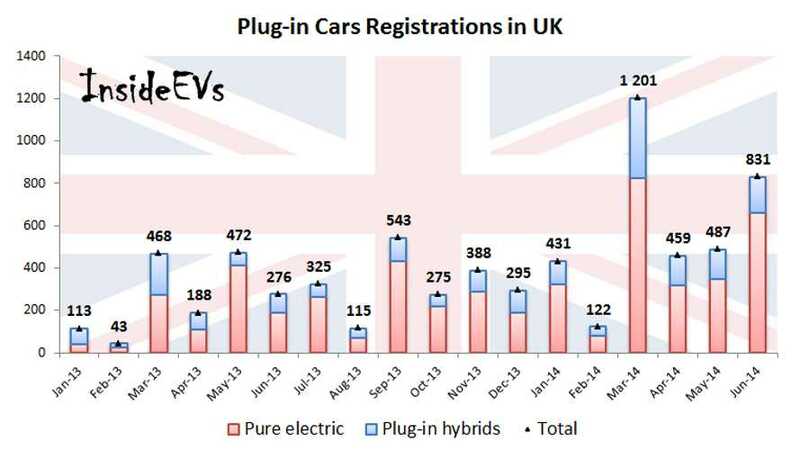 The 2014 YTD number already exceeds the level of 3,500 set for the whole 2013, so maybe UK will end up crossing 10,000 plug-in electric cars sold in 2014.